Joe brought his 1969 BSA Rocket 3 over from Australia for the International BSA Rally. I had not previously seen a green Rocket 3, let alone one with a silver frame, period twin front disk brakes and a T160 Trident electric starter - to name but a few of the tasty mods. Having - as it happened - three different colour Rocket 3's in the workshop it was a chance to capture this very rare coincidence. Joe stayed with us in the "Cave" for a few nights after the official rally ended, but prior to a fairly major tour of the south of the South Island that would take another week. Being familiar with the genesis of "Red", Joe was keen to get a photo with the signature red leathers, and Sue obliged. 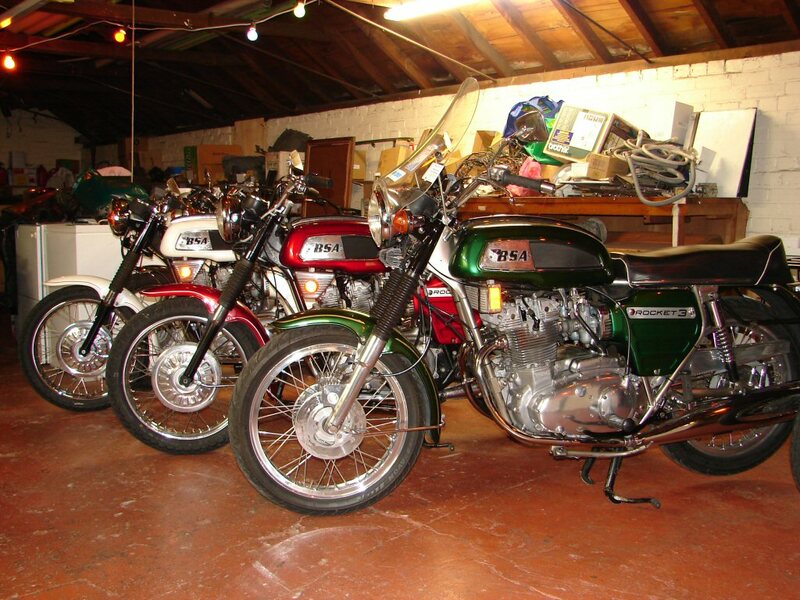 We had a lot of fun times in the cave, and having motorcycles in your living area can only be a plus. It was another level to be partying with your mates and their bikes all in the same space. The day to depart duly arrived and Joe kitted up for the off. One of the world's more unique Rocket 3's joined the fun for a brief time, and it was a good time indeed. 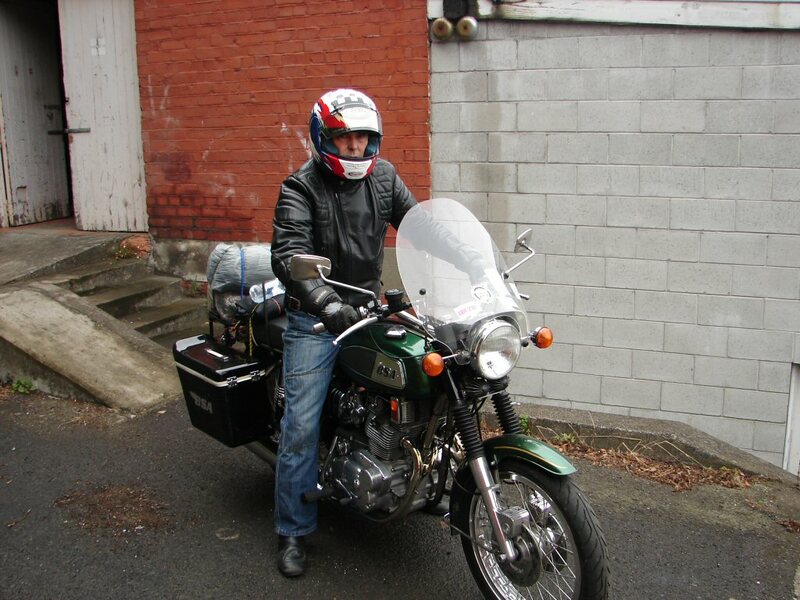 The tour went well and Joe and the bike were shipped home. Have not seen either of them since but we talk occasionally.